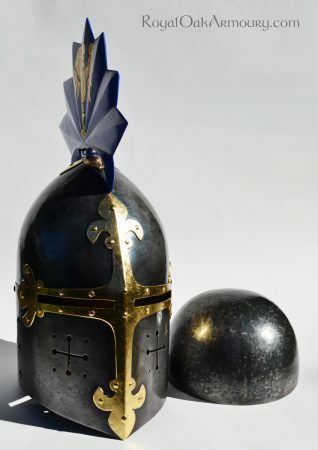 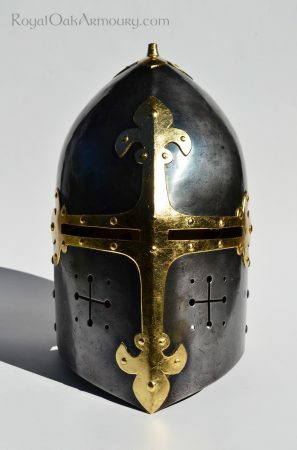 This sugarloaf helm is based on late 13th C depictions. It is forged entirely from steel and its decorative reinforcements are “gilded” with brass leaf. 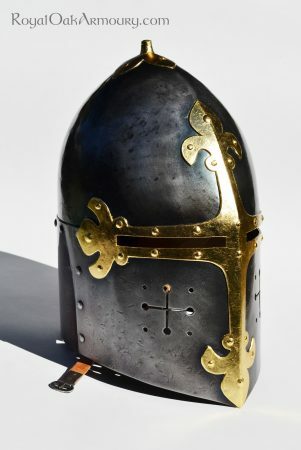 The helm comes fitted with a leather suspension liner for use with a cervelliere, but can be fitted with a padded linen liner for use over a coif, at extra cost. 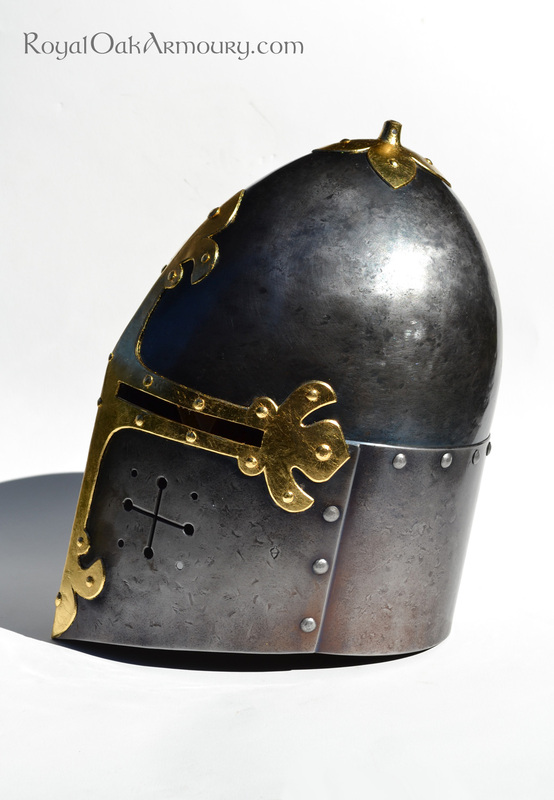 If it is to be used, we recommended that a cervelliere be ordered at the same time, or that a previously purchased cervelliere be sent to us to ensure the best possible fit. A heavy steel staple at the helm’s apex is used for attaching a heraldic crest, which we would be happy to provide. 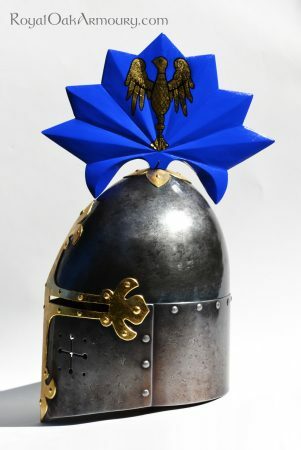 The crest shown is carved from light, clear pine and is fitted with a metal socket, so that it will not become wobbly over time. 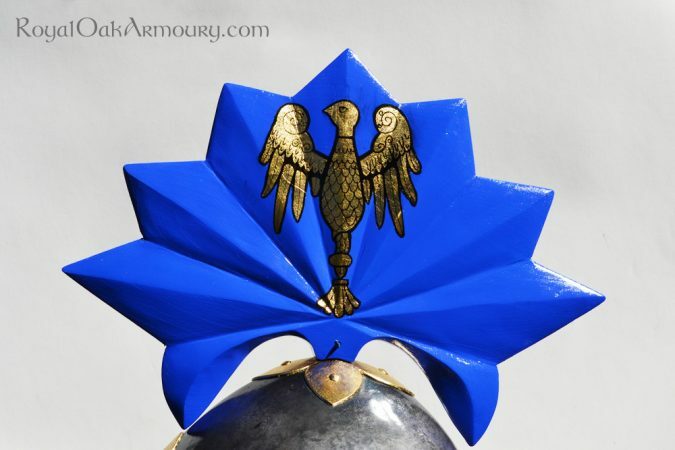 The crest shown was gessoed, painted and gilded to match the owner’s heraldry, all of which are options that we would be happy to price, on request.